Savings4uRealty is the affordable way to Buy & Sell real estate! Check out our 100% Customer Satisfaction Guarantee! Savings4uRealty is a FULL SERVICE traditional Real Estate office offering flexible Commissions & Discount rates. Whether you are a seasoned Investor, or a first time home Buyer we can help find you a home meeting your specific parameters. Additionally, we can also set you up a personalized computer search program tailored to your specific parameters that will allow you to search & monitor the entire Arizona Multiple Listing Service (ARMLS) database, and e-mail you property listings meeting your specific criteria. We can then arrange to show you the properties you are interested in, and when you find your dream home, or Investment property we will work with you to put together an offer and negotiate to get your offer accepted on your terms. SELLERS We will always save you thousands of dollars compared to traditional Real Estate companies… And we offer a 100% Customer Satisfaction Guarantee. It's time to "just say no" to paying high Real Estate commissions. Call or e- mail today to learn how we can help you get the most for your present home. We will use the latest computerized techniques to accurately pinpoint comparable Active, Pending, & Sold listings in your area to determine the fair market value of your home. Additionally, when you list with us if you find a Buyer you could save even more in Commissions. BUYERS & INVESTORS Save money on your next real estate transaction. We will help you in determining the best price based upon comparable properties and then negotiate to obtain the best overall deal. We are easy to do business with and we do not "lock" you in with a Buyers Broker Agreement. Do you ever feel like your REALTOR is making a little too much money when selling your home? 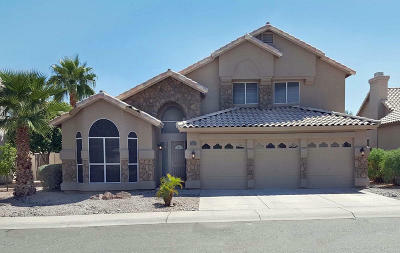 We provide extensive advertising in the REALTORS® Arizona Regional Multiple Listing Service as well as on the Internet. Additionally we can provide a "24 hour home information" call system highlighting your homes features for prospective buyers. Premium Service with Real Savings4u!" Thank you for visiting today. If this is your first visit, take your time and look around. I have plenty of information and resources available to you. If you are a return visitor, thank you again and please let me know how I can serve all your real estate needs.